Program Early morning visit to Negombo Fish Market, back to hotel. Refresh, Breakfast and proceed to Anuradhapura. En route stop at Munneswaram Hindu Temple in Chilaw. Visit UNESCO protected ruin city in Anuradhapura, sunset at Mihintale Rock Temple and reach Habarana or Sigiriya for the night. Notes/ Tips Munneswaram & Anuradhapura Temples, Dress code should be light colour. Knees and shoulders to be covered. Program Early breakfast and proceed to Sigiriya Fortress Rock, and climb. Drive to Hiriwaduna Village, experience a village safari. You will be taken by bullock cart through lush green paddy field, a canoe ride across the lake. You will be served tea with jaggery, authentic Sri Lankan lunch. By afternoon explore Minneriya/ Khaudulla National Park. Notes/ Tips Walking shoes will make you comfortable for the climbing. Program Breakfast, drive to Polonnaruwa UNESCO protected ruin city and visit all the sites, including 3rd Century manmade lake "Parakramasamudra". By afternoon proceed to Aukkana, which is the tallest standing Buddha statue, stops over at "Kalawewa" another manmade lake of 3rd century. DAY – 05	Visit Rock Temple/ Golden Temple and proceed to Kandy. Program Breakfast and drive to Nuwara Eliya. En route stops at Hanuman Temple, Tea Field, Tea factory and Ramboda falls. Reach Nuwara Eliya get settled at hotel, refresh and take a visit to Seetha Amman Temple, Gayathree Peedam, walk around the little town and spend the evening around Gregory's lake. Program Early morning by 05:00 am drive to Horton Plain Rain Forest and walk up to the World’s end view point and Bakers falls. Take the noon local train from Ohia train station to Haputale. Train will take you through the best of tea field in the Island, your driver will pick you from Haputale train station and transfer to hotel. Notes/ Tips Comfortable walking shoes required for trekking. Program Early morning take a refreshing walk up to Little Adams Peak view point, relax at Ella Gap Rock. Proceed to Tissamaharama, en route stop at Rawana falls. Program By morning 06;00 with take away breakfast explore the Yala National Park. This park harbours 215 bird speices, 44 recorded mammals, and with the highest leopard densities in the world. 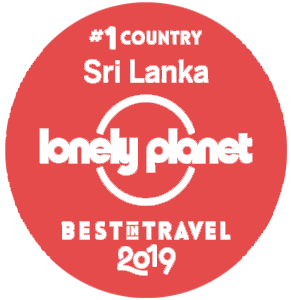 By noon proceed to Mirissa/ Hikkaduwa/ Bentota, en route stops at Dondara Light House in Matara, Stilt fishing in Weligama, Dutch Fort in Galle and Turtle Hatchery in Kosgoda. Notes/ Tips If the beach stay is more than 2 nights, we shall take off your standby transport in order to reduce cost. You will be transferred to Airport on the last day.